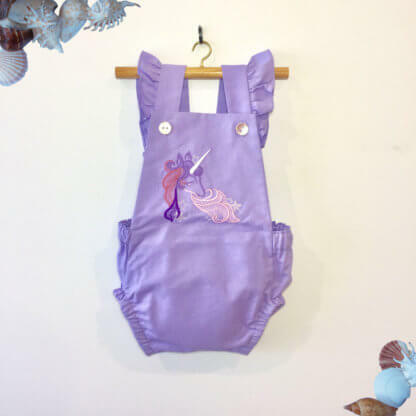 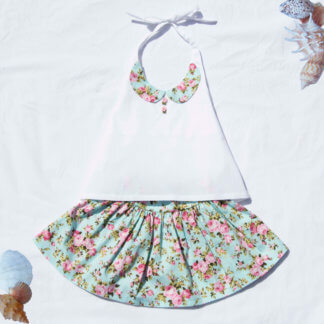 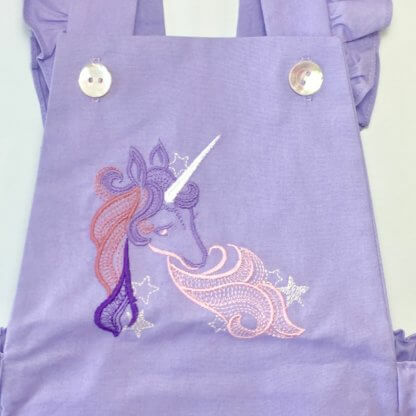 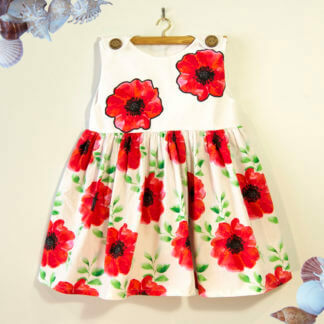 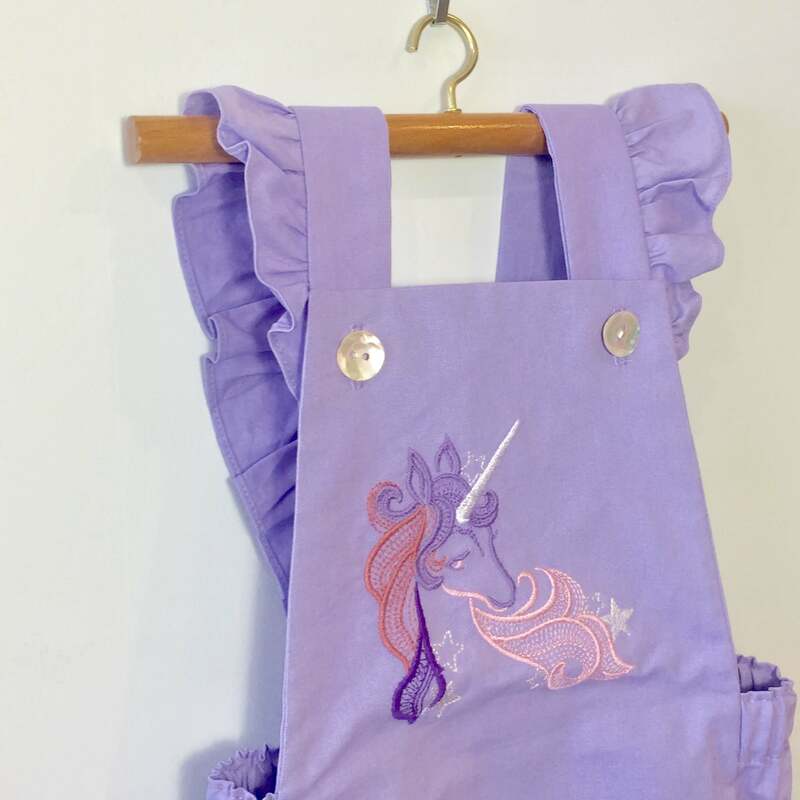 Bring some fantasy to life with this embroidered unicorn romper. 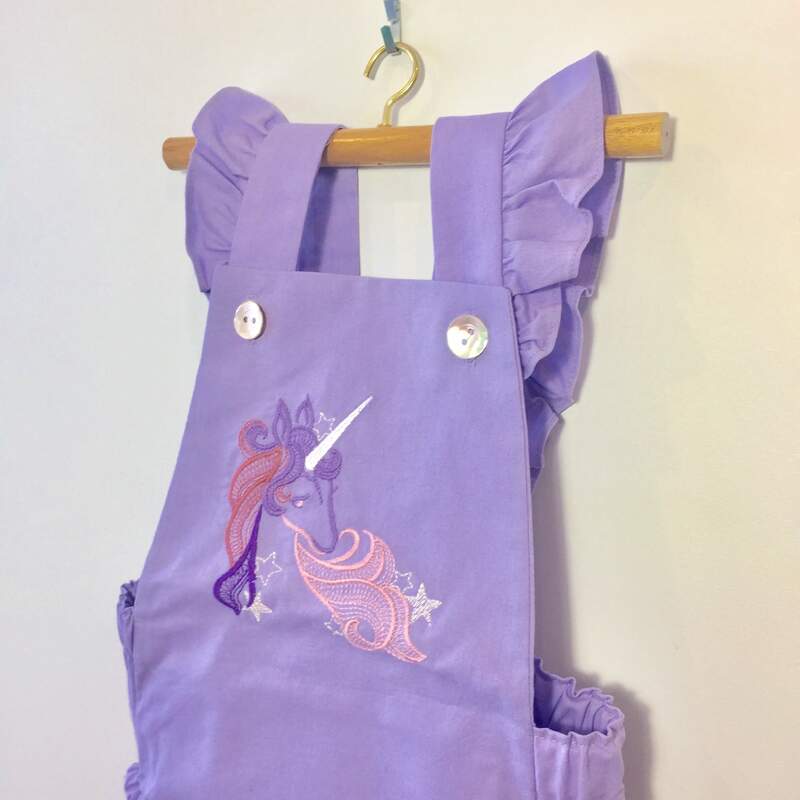 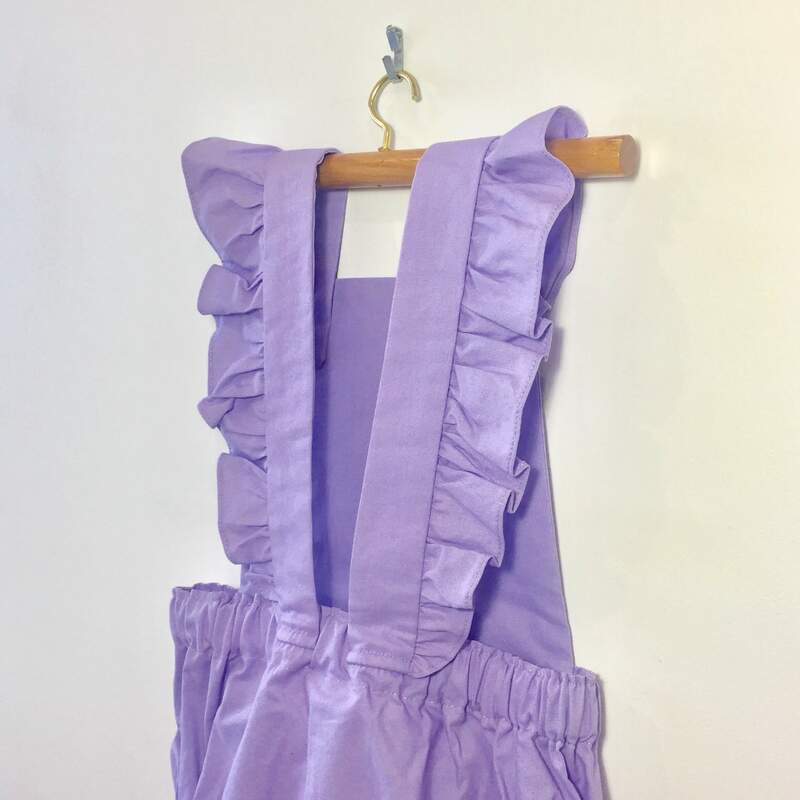 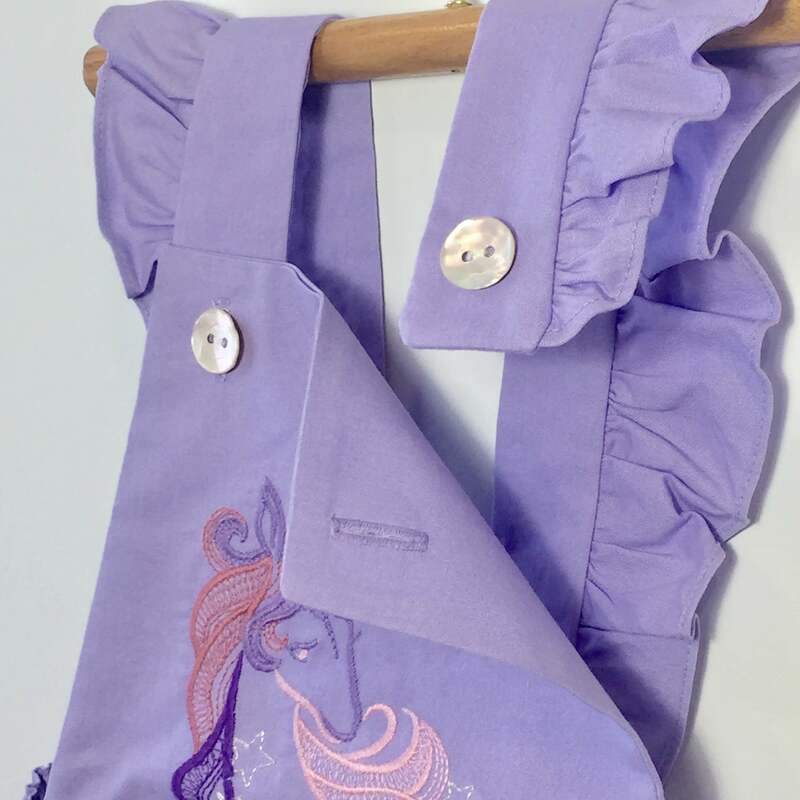 This lilac pure cotton romper features an elastic back for comfort and flat front for clean, simple style lines. The straps are fastened directly over the shoulders with delicate iridescent shell buttons (sourced from sustainable unicorn horn).